The Trump administration claimed victory on Thursday after reuniting only 57 out of the 103 children under 5 years old who were separated from their parents at the border as a result of Trump administration policy. 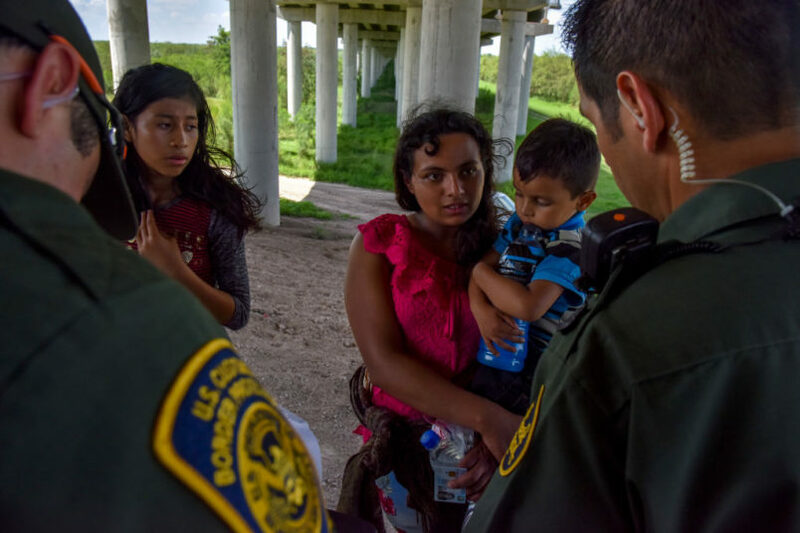 The families are covered by an ACLU lawsuit, Ms. L vs. ICE, in which U.S. District Judge Dana Sabraw ordered the government to reunite families that had been separated by Trump administration policy. Children under age 5 were ordered to be reunited with their parents by Tuesday; older children were ordered to be reunited by July 26. An adult had elected late to be added to the suit, raising the number of young children separated from their parents to 103 from 102, the Trump administration said. “TRUMP ADMINISTRATION COMPLETES REUNIFICATION FOR ELIGIBLE CHILDREN UNDER 5,” read the headline of a joint Justice Department, Department of Homeland Security and Department of Health and Human Services statement Thursday morning. On a phone call with reporters Thursday morning, Chris Meekins, chief of staff of HHS’s Office of the Assistant Secretary for Preparedness and Response, was blunt about what would happen to the children whose parents were deemed “ineligible” for reunification. “If those parents want their children to go return with them — which, again, they had that opportunity once — we are working with the consular officials in the foreign governments to provide information that would help facilitate that, but we don’t have the legal authority to bring those individuals back into the country for reunification purposes,” Matthew Albence, executive associate director of ICE’s Enforcement and Removal Operations division, said on the call. One adult’s location “has been unknown for over a year,” the Trump administration said. (They may be an American citizen.) And one adult was ineligible for reunification because another adult in the same household had been found to have previously been charged with sexually abusing a child, when the government ran newly required background checks on everyone in the household. Sabraw on Tuesday told the government to stop fingerprinting and vetting every adult sharing a household with parents who’d been separated from their children, a new procedure that immigration advocates argue creates a disincentive for reunification — undocumented people are understandably wary of handing their fingerprints over to DHS, which houses Immigration and Customs Enforcement. On the call Thursday, the government refused to detail the specific reasons that all 11 adults with a “serious criminal history” had been deemed ineligible for being reunited with their children. In its press release, and earlier on the call, the Trump administration had listed only a handful of examples. Albence did as he’d done before, listing just a few examples to represent the 11 adults with “serious criminal” histories. The reporter interjected: Would the government list all of the reasons the 11 adults were deemed ineligible?